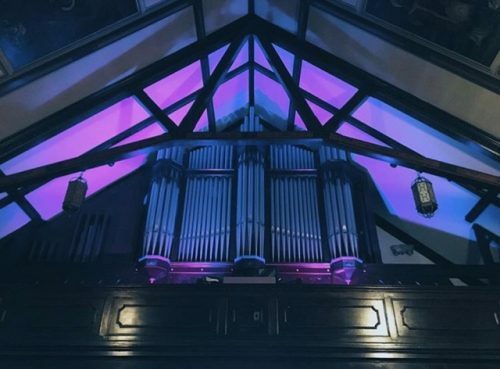 Be sure to catch Noah’s soundscape piece at the church (85 North 15th Street) and scope out some of the other types of unexpected art you can find in the neighborhood after the jump. 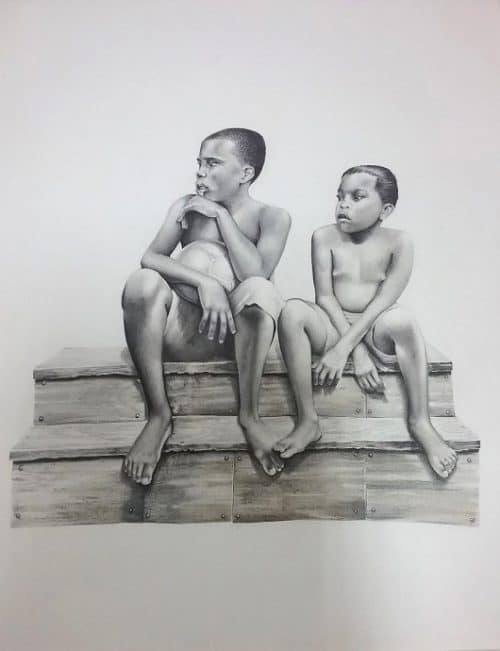 Artist Guy Woodard, recently released from incarceration will be sharing his drawings and reflections on social status and criminal justice reform at Greenpoint Reformed Church. (Curated by Tamara Rose) – Kimchee Market will be exhibiting artwork from mixed media artist Tamara Rose along with abstract painters Esther Zabronsky and Mariana Gavris. Pieces by Rose and Zabronsky will also be displayed at Java Studios (252 Java Street #223). Chris Carr, Heather Keaton, Ryan Bock, and Nicole Salgar: two muralists, one painter, and a photographer. Works by four artists across the spectrum will be displayed at the multi-purpose art space and publishing house GAMBA Forest Gallery. A series of paintings and drawings speaking to female protagonist figures will be on display at the Vietnamese-American restaurant and cafe, Nha Minh (485 Morgan Avenue). Selected by Matthew Lusk. Local Polish artist Martynka Wawrzyniak will be giving a talk on her sculpture and community-engaged public art project “Ziemia” in the park. The talk will be held at 3pm on Saturday, June 3rd & Sunday, June 4th. Greenpoint Open Studios has teamed up with Brooklyn’s 10th Go Green! Brooklyn Festival to showcase 5-10 artists in McCarren Park on Saturday, June 3rd. You can buy tickets for a day of outdoor art, dance, workshops, and market scouts. 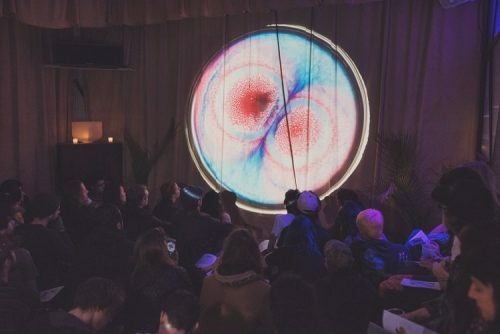 Chaz Lord of Human Head Records and Drippy Eye Projections—an analog light show project inspired by the historic Joshua Light Show of the ‘60’s—will be projecting live visuals and music at Greenpoint’s event venue and kitchen incubator Magick City. Directions: Apply (3) cups of coffee for optimal functionality. Keep where the wit is stirring. Replace with (3) glasses of whiskey for best results.